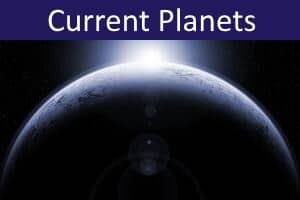 Here are several resources showing the astronomical and astrological positions of the Sun, Moon and planets. Solar System Scope is a sophisticated interactive 3D real-time simulation of the Solar System and night sky. It shows the current astronomical positions of the Sun, planets, dwarf planets, comets, stars and constellations from your present location. You can also change the settings to view the sky from any place, and any date and time. For more information about the various heavenly bodies, you can click on them. Note that this webpage implementation of Solar System Scope does not currently run on mobile devices (a separate mobile app is available). On desktops, it takes about 30 seconds to load and start. Moon Phases Calculator displays the current phase of the Moon, and times of today's Moonrise and Moonset for your location. Finally, there are two tables that show the current astrological positions of the Sun, Moon and planets in the Tropical and Sidereal Zodiacs used, respectively, in Western and Indian astrology (see below for further explanation). Astronomy is the scientific study of the physical properties of galaxies, stars, planets, comets, asteroids, and other cosmic features. 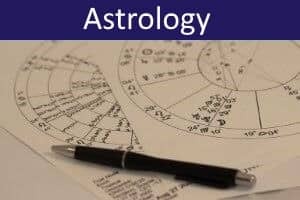 Astrology involves interpreting the supposed human significance of the positions of the stars, planets and other heavenly bodies, based on a traditional system of symbolic and mythological attributions. The Solar System, comprising the Sun and its orbiting bodies (planets, dwarf planets, comets, and asteroids) is central to both astronomy and astrology. Whereas astronomers generally consider the Solar System from a heliocentric (Sun-centered) perspective, astrologers take a geocentric (Earth-centered) view. Since ancient times it has been known that, when viewed from Earth, the Sun follows an annual circular path against the fixed background of stars. This path is known as the Ecliptic. The Ecliptic passes through a narrow region of sky defined by the 12 traditional Zodiac constellations (Aries, Taurus, Gemini, Cancer, Leo, Virgo, Libra, Scorpio, Sagittarius, Capricorn, Aquarius, Pisces). Furthermore, the planets (including the Moon) also follow paths through these same Zodiac constellations, close to the line of the Ecliptic, although at different speeds. At times, some planets can also appear to travel backwards through the Zodiac (known as retrograde movement). Although, astronomically speaking, the 12 Zodiac constellations vary in size and have imprecise boundaries, in astrology the Zodiac signs are considered equal and are each allocated one twelfth of the celestial circle. Since the full circle is 360 degrees, each sign therefore occupies 30 degrees. Astrological interpretation is based on calculating the exact position of each of the planets (which traditionally include both Sun and Moon). Most important is knowing a planet's Zodiac position (sign and degree) and its House position (based on its angular position in the sky relative to the horizon at the given local time). After centuries of astronomical observation, it was eventually discovered that, while the Sun's path (the Ecliptic) always passes through the same 12 Zodiac constellations over the course of a year, its starting position moves backwards about one degree every 72 years (a phenomenon known as Precession of the Equinoxes). More than two thousand years ago, around 130 BCE, the mathematician and astronomer Hipparchus of Nicaea determined that the start of the Solar or Tropical year (at the Spring or Vernal Equinox when day and night are of equal length) occurred with the Sun at the cusp of Aries. Ever since, because of precession, the Spring Equinox in the Northern Hemisphere (around 21st March) has occurred with the Sun in Pisces (the so-called 'Age of Pisces') but is now about to move into Aquarius (hence widespread anticipation of the 'Age of Aquarius'). Hipparchus's work was later codified and expanded by the Greco-Roman mathematician Claudius Ptolemy (c. 150 CE) in his definitive treatises on astronomy and horoscopic astrology (Almagest and Tetrabiblos) which form the basis of all Western astrology. Western astrology generally ignores the present (precessed) calendric positions of the constellations and, following Hipparchus and Ptolemy, defines the Vernal Equinox as the first point of Aries. 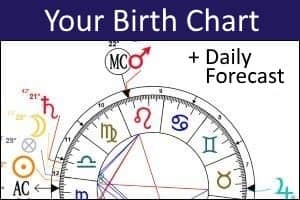 In this way, almost all dates in any year (past, present or future) can be conveniently and consistently assigned a Zodiac sign (for example, the Sun sign of someone born on 10th June will always be Gemini). 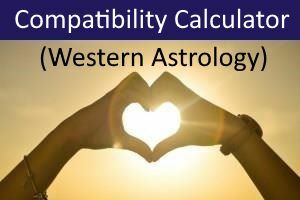 However, because the date of the Vernal Equinox can vary by a day from year to year, those born on a date near the cusp between signs will need to calculate their exact Natal Chart to be certain of their Sun Sign. The seasonal allocation of signs to specific dates in the solar year is known as the Tropical Zodiac. It has the advantage that the characteristics of a person's Sun Sign can be meaningfully related to seasonal conditions (at least for those born in the Northern Hemisphere). For example, Aries has sprightly, spring-like qualities (March-April), Leo is warm, outgoing and summery (July-August), while Capricorn is a relatively cold and wintry sign (December-January). In contrast, Indian astrology (and some Western astrologers) adopt a sidereal calendar and Sidereal Zodiac. While the Sidereal Zodiac also has 12 signs of 30 degrees each, the starting point (Aries) is based on the current (precessed) positions of the stars. 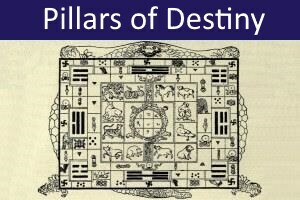 However, there are different opinions in Indian astrology about exactly where the Sidereal Zodiac should begin. The table of sidereal planetary positions shown above uses a popular computational method based on the work of sidereal astrologers Cyril Fagan and Donald Bradley. In recent years, some astrologers have argued that the Zodiac signs should correspond more precisely with the astronomically-observed constellations. However, these constellations vary widely in size and there is no general agreement on how the Constellational Zodiac should be divided. Some constellational astrologers also argue for a 13th Zodiac sign (Ophiuchus). Currently, however, the Constellational Zodiac is not widely used in astrological analysis.